Ireland is renowned worldwide for its full calendar of angling festivals and magnificent natural wild fishing. With the Irish festival period now in full motion, Gary Miller looks back on his time spent on the recently concluded seventh annual World Pairs event. 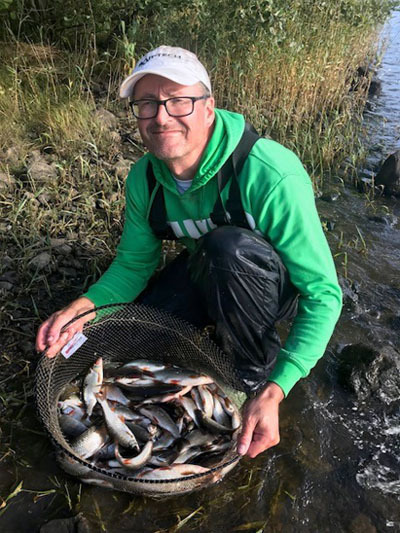 The event, which this year took place between 3rd and 7th September, see’s anglers from all over the world compete for a prize fund worth nearly 21,000 Euros paid out between the top ten pairs after five days of competition. 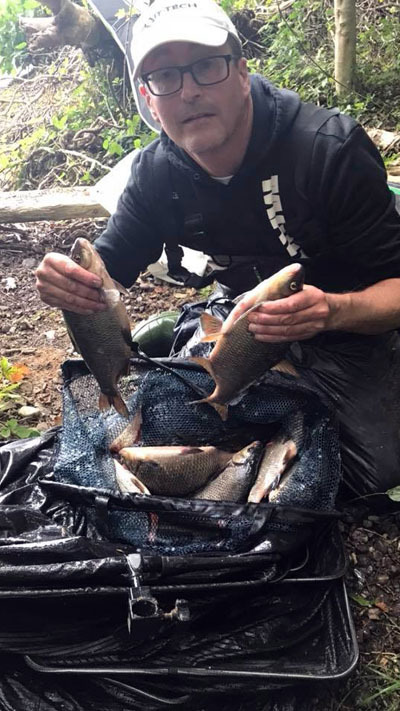 “This was mine and my partner, Chris Vandervleit’s fifth time fishing the event and our aim before the competition started was to secure a top ten finish“. “The opening day of the competition saw me draw peg 51 on Houghton’s Shore on Lake Garadice peg 51. I opted to fish the pole and fish over groundbait at 13m to find two hybrids and some good quality roach to weigh in 7kg 400g. This was enough to see me finish second at Houghton’s. Chris drew on Lough Scur and ended the opening day with 10 kilo giving us a day one cumulative total of 17kg 400g so a steady start“. “Day two saw me placed in a section split over Greenies Shore and Killades. I drew end peg 1a on Killades, which was a good draw! I set up two Diamond Extreme 13ft feeder rods with 35g window feeders, 0.18mm mainline tied to size 10 hooks. My mix for the day was Pro Natural Bream and Pro Natural fine lake dark“. “I managed to catch hybrids steady throughout the match fishing five (5) maggots on the hook. At the end of the five hours, I offered 26kg 850g to the scales, which won Killades and was 3rd overall in the match. Partner Chris Vandervleit enjoyed a similar day winning at Greenies with over 24kilo’s to increase our overall cumulative weight to 51kg, putting us up to 4th in the pairs after two days“. “Day three of the competition saw me draw peg 13 at Brackley and Bunerky. To my amazement, I had drawn another end peg, but unfortunately, things didn’t go according to plan! Looking back, I think I attacked the peg too aggressively thinking I would catch some bream. To cut a long story short I managed just 8kg 400g and Chris a little over 8kg from Bunerky. This saw is drop from fourth place down to tenth place“. “Unfortunately, our luck didn’t change going into day four of the competition. I drew peg 29 in the Church Deeps as it’s known and only managed to catch a few small fish on the feeder during the first half hour, then lots of small roach on the pole during the following three hours. For the final ninety (90) minutes of the match, I really struggled finding just odd fish on the feeder”. “Come the end of the day, I weighed 11kg 800g, which managed to win the Deeps with Chris managing to finish in second place at Connelly’s weighing in over 12kg. This saw us drop further down the table into twelfth place“. “The final day of the World Pairs saw me on peg 9 at Horse Island. I was optimistic of a few fish before the match with some fantastic weights being recorded all week“. “Unfortunately, the bad luck continued with this particular section fishing the worst it had over the five days! I managed 9kg 500g on the pole with just 13kg taking top spot – poor really when over 20kg had been winning every other day during the competition. Partner Chris drew end peg 3 at Inish Favour, which is the wrong end. He managed 11kg with the opposite end of his section weighing in 20-30kg“. “Despite another disappointing days result. we actually managed to climb a single place up to 11th overall, just 7 kilo’s short of the top ten. A little disappointing, but still a great weeks fishing“.